Photograph by Chris Sweda / Chicago Tribune. Chicago, IL concert. June 15, 2017. 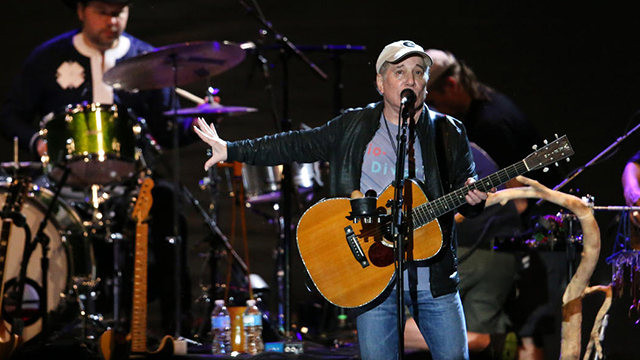 This June, Paul Simon shared the hope of E.O. Wilson’s grand vision for Half-Earth with concert goers across the nation. His unique voice and commitment to caring for our planet touched many people, and we’re grateful to everyone who has joined us in pursuing this hopeful solution. Together, we can work to save half of our planet’s lands and seas for all of life on Earth. From Florida to Ohio and Nevada to Wisconsin, and with many stops in between, the tour helped raise awareness, and engaged thousands. 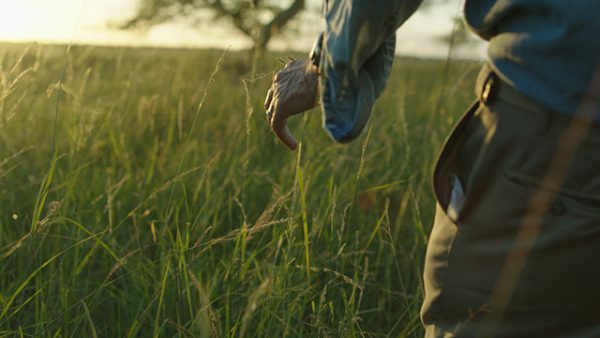 Concert goers, local communities and fans learned about the book Half-Earth, and how the Half-Earth Project is driving research and providing leadership to identify and protect biodiversity in special places around the world. We’re thrilled that more and more people have learned about Half-Earth through the tour, and encourage everyone to share this inspiring and hopeful solution with their friends and colleagues. Are you in? During the tour, the Half-Earth Project launched the Half-Earth Pledge, which calls on everyone as global citizens to join us in getting to Half-Earth. Have you signed the pledge yet? 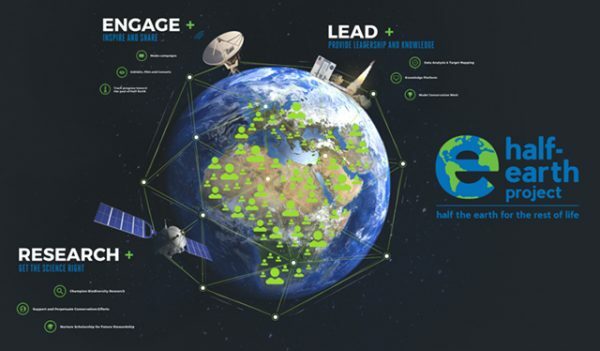 • Share information about Half-Earth with your network. • Participate in local conservation efforts. • Support policies that protect the Earth’s lands and oceans. • Field Research and Taxonomy: The Global Biodiversity Census initiative is 1) developing a comprehensive database of the Earth’s vast biodiversity, and 2) working with curators at museums and botanical gardens to share knowledge more efficiently in support of accelerated species discovery and classification. This information is a fundamental first step in guiding conservation efforts. • Mapping: “What Half?” should we protect? We’re integrating multiple data layers in order to answer this question, looking locally, regionally, and globally at biodiversity status, conservation priorities, and human impacts to create a dynamic, interactive mapping tool that engages people everywhere in what places are important for protection of biodiversity. What’s next? We’re pleased to announce that plans are underway for Half-Earth Day. Half-Earth Day is planned as an annual event, halfway to the next Earth Day, which will celebrate milestones and achievements and inspire participation and action to drive further conservation towards the goal of Half-Earth. The first annual event will be held in Washington, DC, and is tentatively scheduled for October 23. Stay tuned for more information about all events.